Bob Booker isn't a member of Police Precinct Ten--aka "Top Ten." 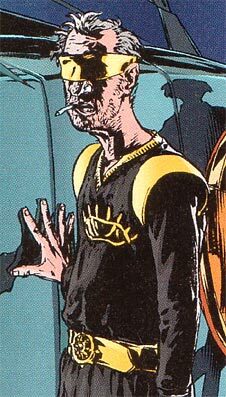 Instead, he's a hilariously cool Neopolis taxi driver. He's got the nickname "Blindshot" because he drives blindfolded, using his "zen senses." However, when "Blindshot" is at the wheel, he's not driving; the universe is, and, if you ride with Bob, wherever he lets you off is "where you're meant to be."